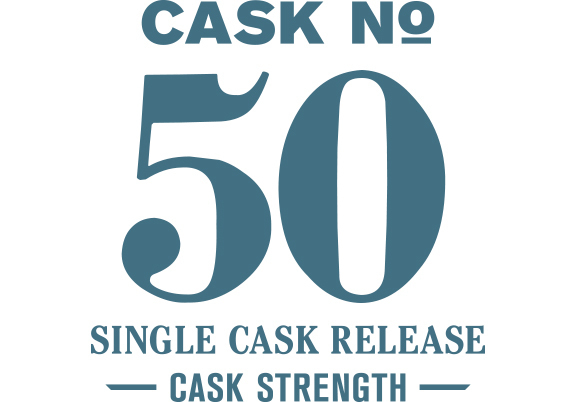 Cask #50 is the older brother of one our first Single Cask Series releases, Cask #52. The same decadent, malt-forward character that was present in Cask #52 is present here, but now with dried floral notes and dill—markers of its advanced age. Throughout its maturation it has stood tall against the oak, achieving the balance we look for in all of our whiskies. Dark, dried malt notes initially mark the nose with the malt balls, waffle cone and chocolate powder typical of our five-malt grain bill. The cask contributes some old rackhouse aromatics, caramel, and dill on the palate. Initially we're confronted with a floral oiliness that is hard to penetrate but with a few minutes of air it transforms into dried jasmine and potpourri with a bit of dried orange peel.